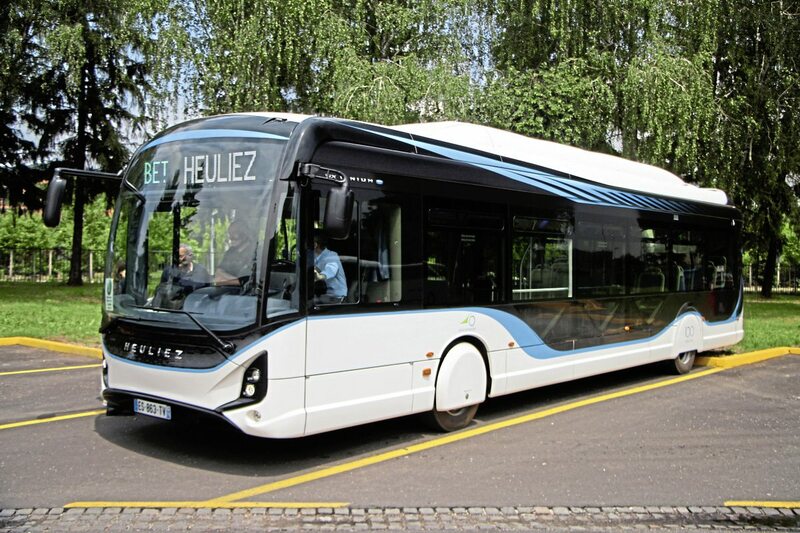 The only one of the three candidates not currently offered in the UK, the Heuliez GX337 Linium Elec is manufactured at Rorthais in France by Heuliez Bus… a wholly owned subsidiary of CNH Holdings which is also the parent of Iveco Bus, though the two concerns trade entirely separately within France, the company’s biggest market. Elsewhere, Heuliez products are marketed through the Iveco Bus sales network. 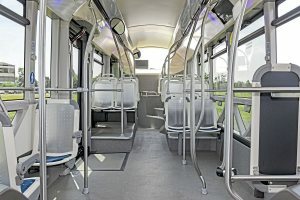 Originally a coachbuilder mounting its products on the chassis of other manufacturers, the company has a long history of manufacturing both complete diesel and electric buses, though the electrics have usually been trolleybuses. I visited the plant in the early 2000s at the time when what was then known as Irisbus was marketing the BRT style Civis hybrid bus and its trolleybus counterpart, the Cristalis, in both 12m solo and 18m articulated formats. Heuliez can be considered to have been ahead of most of its competitors in its awareness of the potential of electric propulsion. 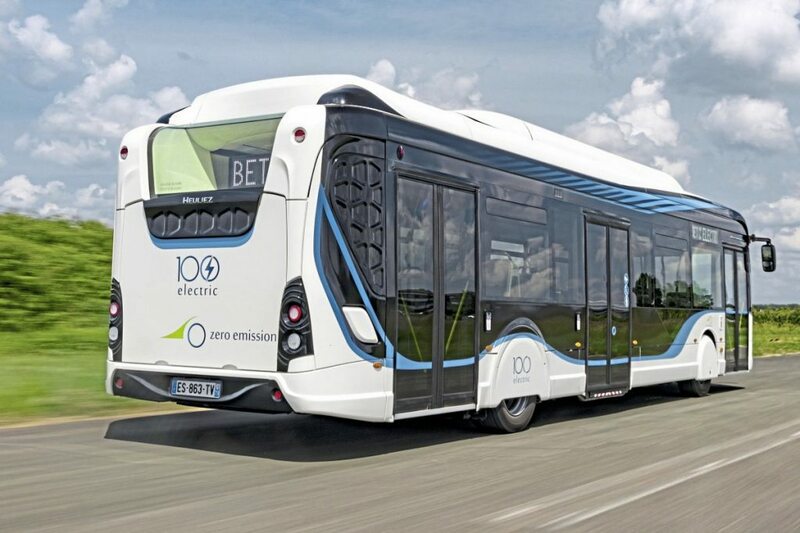 Customers included Las Vegas, which took 10 Civis at the same time as its fleet of Wrightbus Streetcars, while Cristalis trolleybuses went to Lyon, Limoges and ATM Milan among others. The stainless steel bodied GX337 is the brand’s 12m offering, alongside the 9.5m GX137S, the 10.7m GX137L and the 18m GX437. It is offered with five different power sources: diesel, HVO/GTL, CNG/Biogas, hybrid, and electric – more options than on any of Heuliez’s other models. Like the GX437 there are two body styling options; the standard one and a BRT one (known as the Linium). 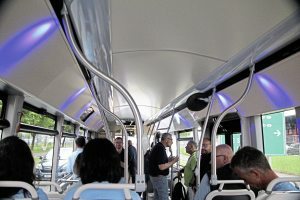 It can have two or three doors (the test bus had three) and in the BRT version the maximum passenger capacity of 114 is reduced to 100 (under French regulations which permit a 20tonne GVW on two axles). 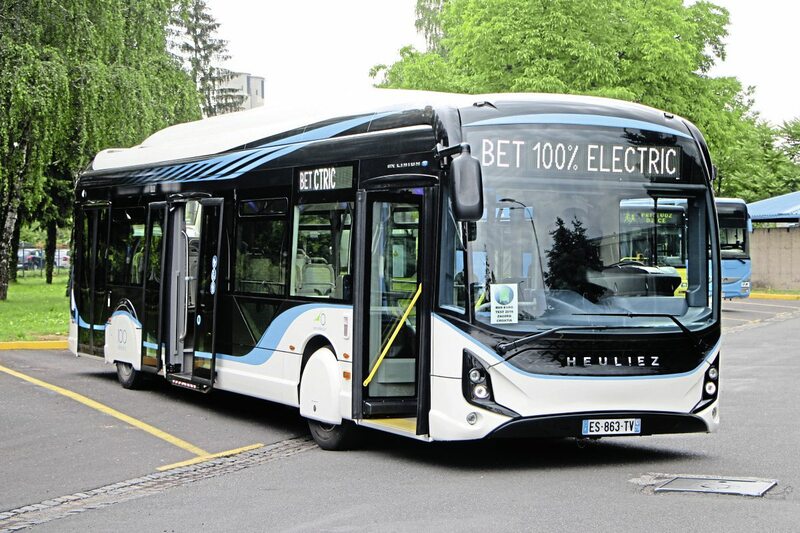 In the 18 years it has been supplying electromobility products, Heuliez has already supplied over 2,100 buses including hybrids and trolleybuses, together covering around 770m km to date. Three electrical storage system options are available covering modular storage, high energy storage (up to 385kWh) and high power storage (up to 88kWh on GX337E/117kWh on GX437E artic). 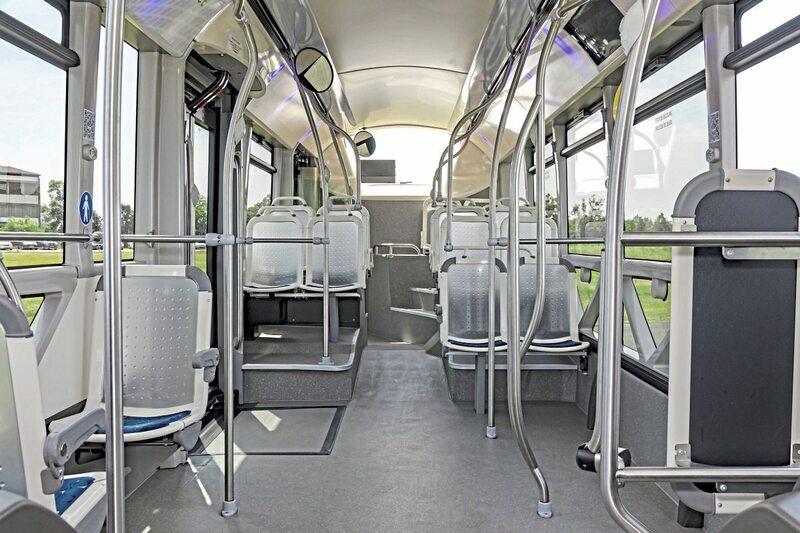 All Elec models come with both pantographs for opportunity charging and Combo 2 plug in charging points which makes them more flexible in operation than buses with only one or the other. The powertrain features technology from BAE Systems, as used in the UK and elsewhere by ADL, including the electric motor and converters. On the 12m the electric motor nominally offers 120kW, on the artic that is 200kW. Traction motors are low maintenance. We were told they only need their synthetic oil changing every 460,000km and no other maintenance. Recognising that some markets such as the Nordic ones have very cold conditions in winter, battery heating is available if required in addition to cooling. Three types of power storage are offered: Modular, high energy (up to 385kWh) and high power (up to 88kWh) with both the standard Combo 2 plug in system and opportunity charging (with on or off board pantograph) offered as standard options. The bus entered was a high energy, slow charge version with six NMC batteries on the roof and a further two at the rear giving a total capacity of 360kWh, a figure that may increase to 385kWh next year when the next generation of the batteries appears. 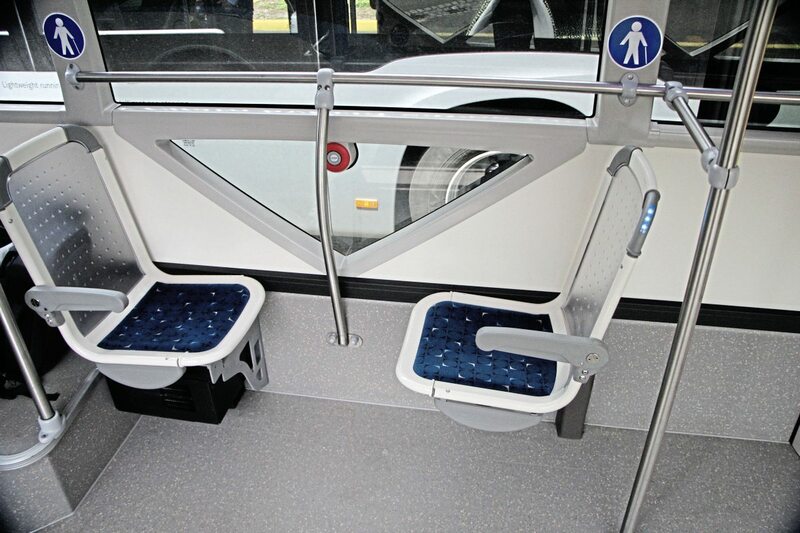 Two different battery positions are offered as standard depending on which market buses will operate in. 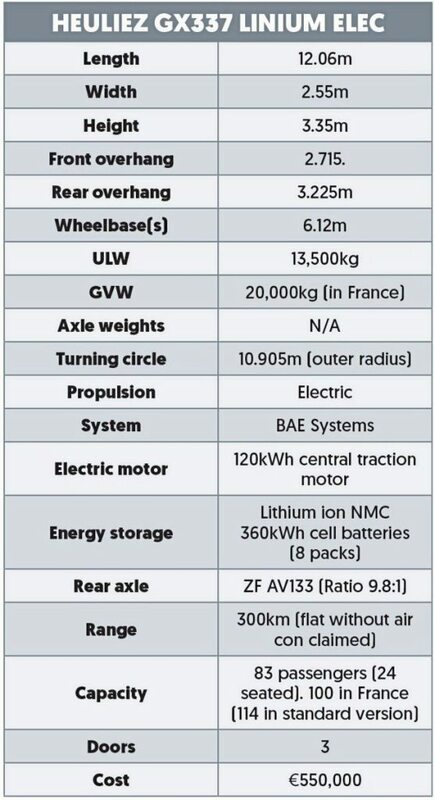 France has a higher rear axle limit of 13 tonnes and therefore French models have the batteries nearer the rear and the converter further forward. 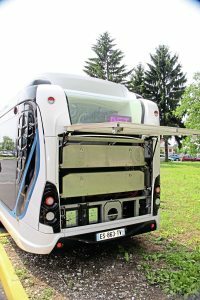 Testing has led Heuliez to suggest the range with high energy batteries is between 260km and 305km (without air conditioning). At 13kmh, we were told that power consumption is 1.06kWh per km. On the first day of the test without the normal weight of passengers, this was comfortably exceeded. Over a distance of 158.2km, it consumed 0.75kWh per km, depleting the battery charge from 84% to 50% in the process. Recharging times depend on the power of the charging equipment. It can completely recharge in three hours with a 150kW charger, 3hrs 30mins with a 100kW charger and, as in Valence which recently took 12, six hours with a 50kW charger. I know this is a subjective opinion, but though it is different, the look of the Linium doesn’t do it for me. If the idea is that it looks more tram-like, I don’t really think it does. 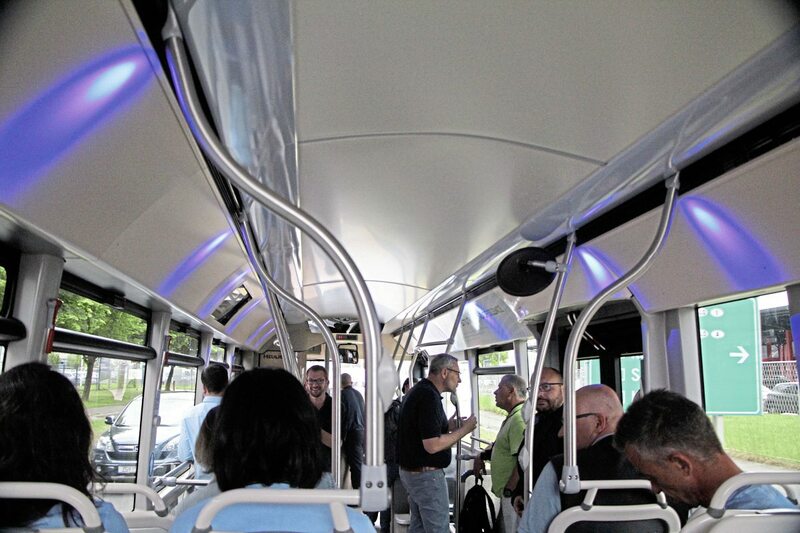 Inside, I think the styling works much better, the arched ceiling and concealed lighting generating a good look and, although I can take or leave the glazed lower window sections, I believe most passengers will perceive them as adding quality. The floor layout and steps at the rear are both complicated and formidable, but the centre is commendably uncluttered. Some of the finishes were not optimal but this was quite an early example. 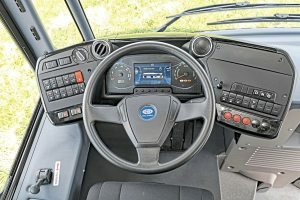 Drivers found it difficult to achieve a comfortable seating position in the cab, and, possibly because the seat was a little to the right, some commented that it felt wide when you were manoeuvring. 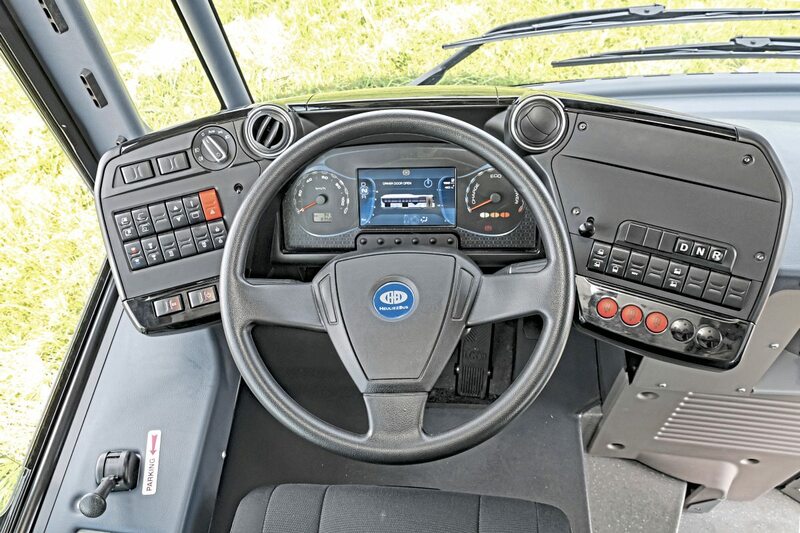 The dash unit is very large and this sometimes created blind-spots. The brake was quite noisy when released but a positive feature was that a voice reminded the driver if they released the brake but didn’t put it into gear. Otherwise the braking system was perfect. Acceleration was smooth and the bus also remained smooth when idling. Another popular attribute was the dash display including both real-time and progressive fuel consumption displays, so the driver was always aware what the range was. Mirror vibration was encountered and some criticised the steering wheel for being dated. 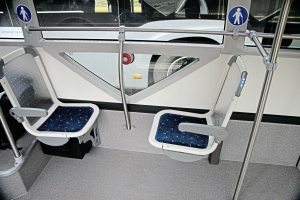 Both the Irizar and the Heuliez featured visually attractive Ruspa Citipro seats, but I found the Iveco comfier because it had fabric trimmed squabs along with the translucent plastic backrest, whereas Irizar used the rather hard transparent plastic for both. What wasn’t comfortable at times, and one section of the route ably demonstrated this, was how hard the rear suspension was. As I was at the rear of the Irizar, I was surprised at the level of interior noise for an electric, with a high pitched whine from the motor and a deep note from the drive. To the specification entered as a one off purchase the 12m GX337 Linium Elec costs €550,000, but you can get all of the environmental benefits in the standard version for considerably less. The existing hybrid version has proved popular and many parts including the electric steering are directly carried over from it, while the power electronics are a development. In offering five different propulsion concepts as well as variations within them, Heuliez and Iveco are enabling operators to pick what best suits their needs while maintaining a high degree of standardisation if they wish to. How do you choose a winner when the candidates are so diverse, the propulsion systems are conceptually poles apart, the maturity of the technology differs immensely and one participant has a price tag three times that of another? It is a very challenging process and one that fully exercised the members of the Jury, myself included, over the four-day event. A decision was ultimately reached but you will have to wait until September, just before the award presentation, to find out which bus was victorious. Bus & Coach Buyer will carry all the details then.